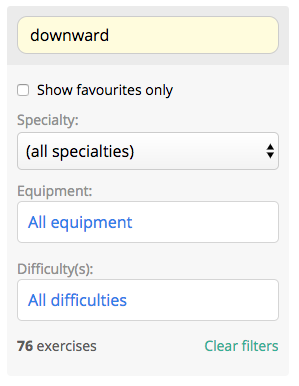 Our aim is to make our exercise titles as clinical and searchable as possible. However, we know that one persons "Downward dog" is another persons "Adho Mukha Svanasana"! With this in mind we've allow you to not only change our titles, but also our exercise instructions to better suit your language. From the main library page find the exercise you would like to edit. 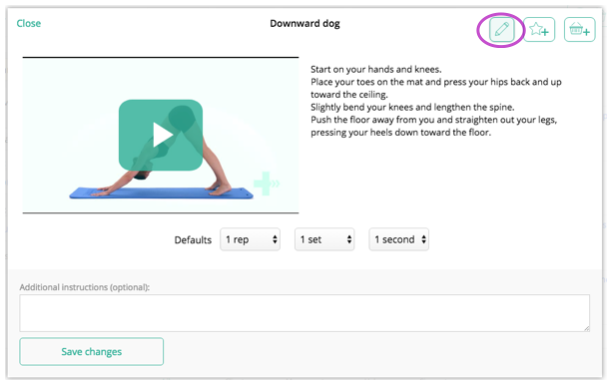 Click anywhere on the exercise picture or title to open up the preview box. In the preview box you will see the "Edit" button to the top right corner of the window (it looks like a pencil). Click this button to open up the editing window. 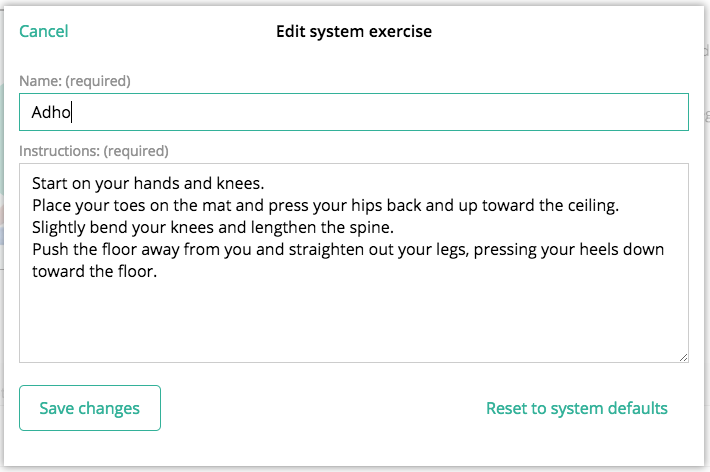 Change the exercise title and/or the exercise instructions, ensuring you click 'Save changes' to remember these edits. Note: If you would ever like to default back to the system title and instructions, simply click the " Reset to system defaults" button in the bottom left of the editing window.